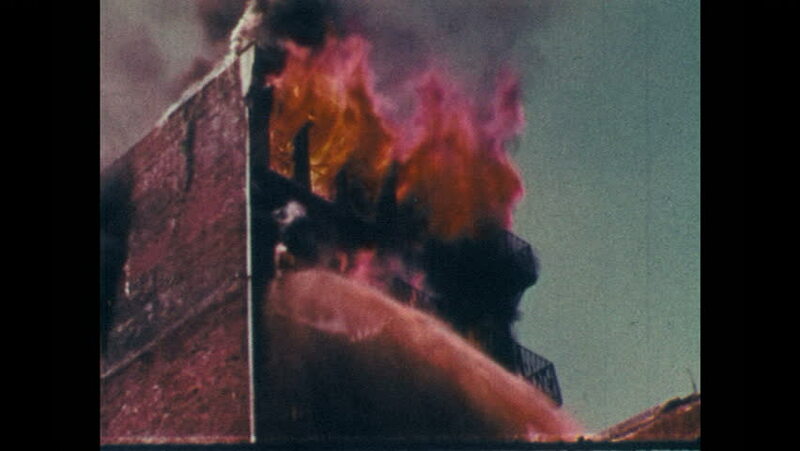 1970s: Flames leap from burning building. Modern industrial building. Old multistory building. Man operates printing press. Cautionary signs. hd00:211960s: Elderly woman. Man and woman in hats. Woman looks thoughtful. Man with wet hair. Elderly man in hat. Man in hat and poncho. Crowd riots in streets. Rioters flood streets and topple bus. hd00:19France 1960s: Sculptures of male figures. 4k00:281970s: Man stands on baseball field, speaks into microphone, takes off hat. Crowd in stands is silent. hd00:17UNITED STATES 1970s: Pictures superimposed over children walking around musuem. 4k00:28GRAND LAKE, COLORADO 1940: Creepy Halloween costume on cute girl takes off mask. hd01:00CIRCA 1970s - The Beautiful Crissy doll has hair that grows, in 1970.